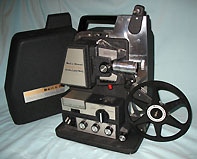 8mm , Super-8 and 16mm Movie Films , Movie Projectors and Supplies , Movie Memorabilia , Figurines , Movie Posters and Other Film Collectibles ! 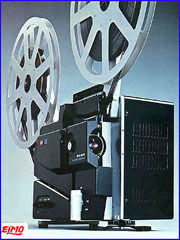 Everything needed for film collecting and the movie or film collector and hobbyist! See the links just below, or scroll down to the links at the bottom of this page, to navigate this site. 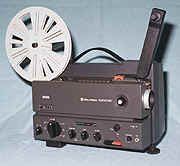 If you need a movie projector for 8mm - super-8 or 16mm film you have come to the right place. 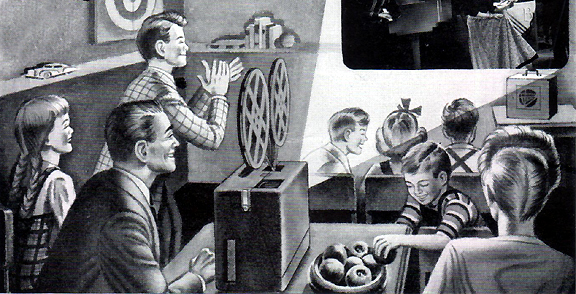 There are always lots of rebuilt, refurbished & guaranteed 8mm, super-8 and 16mm movie projectors available. 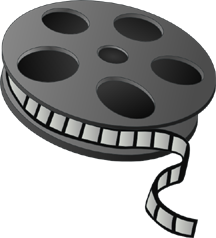 This site offers a large selection of 8mm, Super 8 and 16mm Movie Film Subjects such as the popular Castle Films and Blackhawk Films, Cartoons, Classic Short Subjects and Comedy Films, Trailers, Antique Promotional Commercial Films and Complete Features. New titles are added all the time. PLEASE NOTE!! 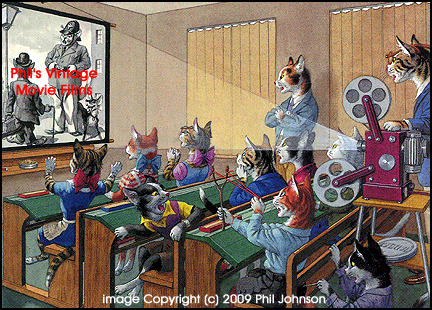 Most older movies on television and almost all DVD's are now sped up by a degree of 5 to 10%. This makes movement of the image in most cases unnatural and (to me anyway) unwatchable. It is especially bad when it is a movie or TV show you have seen many times before in the correct speed. 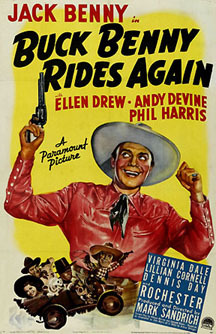 Soon the only way to see an older movie that is not corrupted is to watch Film or find the older VHS or Betamax tapes. 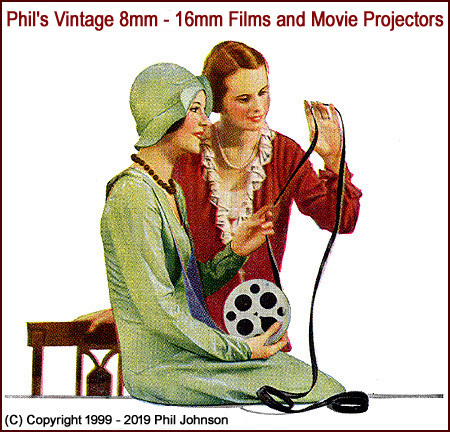 Also: 8mm, Super-8, 16mm Movie Projectors - Movie Film Supplies and Projector Bulbs & Lamps - Home Movie Cameras & 3D Viewers - Movie Books & Magazines - Hollywood and Cartoon Character Collectibles & Figurines - Original Old Movie Posters - Vinyl LP Records - Laser Discs & Laser Disc Sets. This site is arranged like a family tree and the links to the parent pages in this site are above and at the bottom of this page. The listings in this web site are always up-to-date. Items sold are immediately removed from the lists and new items are added on almost a daily basis, so check back often. More 16mm Features Added Every Few Days. 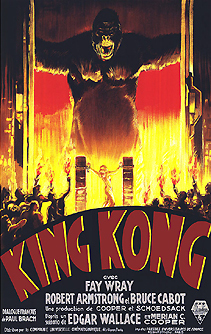 Click The Posters Above To Go To All The 16mm, 8mm and Super-8 Films Pages! As you search for the spiritual connection we all strive for, please keep your heart open to know the one true and living God. Because of his unconditional love for us, He has given us redemption for our sins; if we accept it; not in the terms we dictate to Him, but under the provision He made for us through His Son Jesus Christ. The only way to the Father is through the Son, and that gift is given to every person who receives it in their heart. Christian persecution is rampant around the world and even this country doesn't seem to care. Always stand firm in Christ our Lord. Please Pray For Our Country And All Our Leaders. I am proud of the faith in God through Jesus Christ that was the cornerstone of the foundation of the United states. This is my culture and heritage, not Germany or any other country or culture my ancestors may be from. Immigrants are welcome, but they need to tolerate our heritage and culture. If our heritage and culture offends them or anyone else, no one is forcing them to stay. Pluralism is destroying this country. This Says It All and Where Is The Outrage? added in April 2009. Here is a 1948 cartoon that reflects what is happening today! LIVING WATERS - Inspiring and equipping Christians in fulfilling the great commission. Wonderful tools and instruction in witnessing as Jesus would. THIS IS POWERFUL. JESUS CAN RETURN ANY TIME. Email or call me if you need to find out more about something I have listed, or are ready to order.